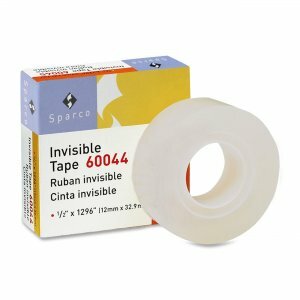 Premium invisible tape is ideal for mending, splicing, and holding. Tape accepts writing of ink, pencil and marker. 1" core design fits in most desk dispensers. Tape is practically invisible on most surfaces. Tape is photo-safe.